Musculoskeletal injuries occur as a result of forces that are applied to the body. The science of biomechanics tries to explain these forces and their momentum and puts musculoskeletal injuries in the context of physics. The present chapter explains basic biomechanical terms and principles of importance while dealing with sports-related injuries. Tissue-specific physical properties are explained, and underlying injury mechanisms are unraveled. In addition, sport-specific injuries are categorized as collision, contact, and non-contact to demonstrate the impact of those physical principles on the human musculoskeletal system. 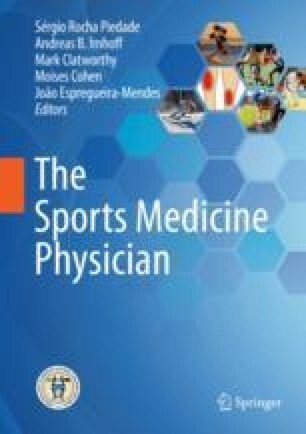 This will help the reader to understand the incidence and prevalence of certain injury patterns in dependence of the sporting activity and to develop prevention strategies to minimize the individual athlete’s risk.